The former legislator found guilty Wednesday of bilking two elderly widows, one in Belfast and one in France, out of more than $3.5 million and of not paying income taxes will seek a new trial, his attorney said. Robert Kenneth Lindell Jr., 53, of Cloverdale, California, was convicted of theft by unauthorized taking, a securities violation in connection with the alleged fraud, three counts of theft of federal income tax funds, and five counts each of intentional evasion of income tax and failure to pay Maine income tax. Lindell, formerly of Frankfort, last year pleaded not guilty to all 15 counts. 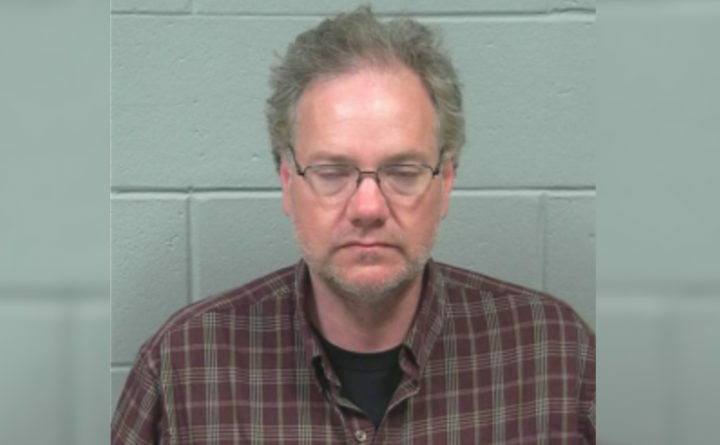 Lindell will continue to be held without bail at the Penobscot County Jail, where he has been since May after he violated his bail conditions after being free for a year. The jury of five men and seven women returned the verdict at about 9 p.m. Wednesday at Penobscot Judicial Center after deliberating for more than eight hours, according to the Maine attorney general’s office, which prosecuted the case. The trial began Oct. 30. Lindell’s attorney, Zachary Brandmeir, said Thursday that his client was disappointed in the verdict. “We anticipate filing a motion for a new trial based upon our previous objections,” he said Thursday in an email. “Our theory was that the prosecution’s case, although based upon a large volume of documents, was grounded in assumptions and incomplete. Assistant Attorney General Gregg Bernstein did not respond Thursday to a request for comment. The jury found Lindell drained nearly $3 million from the estate of the Belfast widow, who died in 2012 at age 92. Her estate should have totaled about $5.5 million, according to the prosecution. He was accused of stealing about half a million dollars from the woman in France, who was a longtime family friend. She testified through an interpreter at the trial. The tax charges stemmed from Lindell not reporting the stolen money on his federal and state tax returns. Lindell spent the money to buy and renovate a house in California wine country, and to pay credit card bills for expensive travel and dining in the U.S. and Europe. He also paid for his child’s private high school and college tuition. “He used these women’s money as his personal piggy bank,” Bernstein told jurors. Defense attorney Harris Mattson of Bangor said in his closing argument that Lindell had the authority to move money in and out the women’s accounts and trust funds. Mattson also said Lindell’s more than $400,000 in management fees were reasonable and that the California home was a legitimate investment. “Every one of the state’s charges is crippled by reasonable doubt,” Mattson told jurors. Lindell served in the Maine House of Representatives as a Republican from 2004 to 2006, when he was defeated in his re-election bid. His Maine securities disciplinary record included sanctions in 2002 and 2013. Both actions ended in consent orders, according to court documents. Lindell faces up to 10 years in prison and a fine of up to $20,000 on the most serious charge of Class B theft. He also could be ordered to pay restitution and back taxes.